A beginner's guide to the major stars and constellations visible with the naked eye in the northern hemisphere. This brief introduction to stargazing will help the novice to get his or her bearings in the night sky. Using easy-to-find stars, all of which are visible without any specialized equipment, the author introduces the beginner to each season's major constellations. 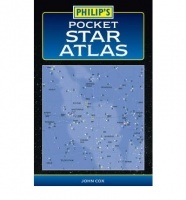 "The Philip's Pocket Star Atlas" is a highly practical atlas in a compact format for use out of doors. It contains a series of maps showing the entire night sky, as well as a mass of useful astronomical data. A revised and redesigned edition of this popular guide to the night sky. Using prominent patterns, such as the Plough and Orion, Sir Patrick Moore teaches the reader to 'star-hop' from constellation to constellation, thus learning to navigate the night sky. An excellent introduction and practical guide to observing Mars, it explains the equipment needed to look at the Red Planet. 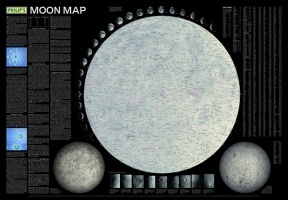 Philip's Moon Map is a large-format folded map of the near side of the Moon. It has been specially drawn for Philip's by Dr John Murray, a research lecturer at the Open University, who is an expert on the lunar surface. 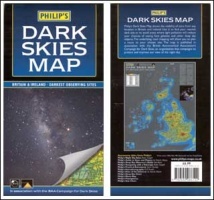 Philip's Dark Skies Map shows the visibility of stars from any location in Britain and Ireland. Stargazing can be frustrating where visibility is affected by street lights and other light pollution - use this map to find your nearest dark site or to avoid areas where light pollution will reduce your chances of seeing faint galaxies and other deep-sky objects. This new edition of "Philip's Stargazing with a Telescope" has been fully revised and updated to include the latest telescopes and accessories on the market. 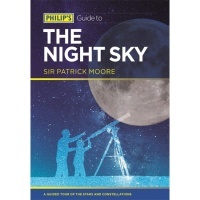 This is a brand new title for Philip's bestselling astronomy list following the success of Philip's Guide to Stargazing with a Telescope.